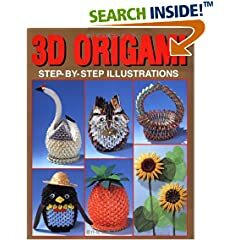 I was first introduced to Chinese modular origami when i was in elementry school by my aunt. A friend of hers taught her how to make a pinapple (ball), we made one with 500 pieces of chinese 1 cent bills, because of the color of the bill, dark yellow/brown, it actully looked convincing. She also told me that her friend had huge models of ships made out of same triangle pieces, I didnt really believe her. Summer of 1997, I visited a small Chinese musum in chinatown that had these models on display. The models were amazing, range from full size american bald eagle, full size bikes, tea sets, to miniture ship models (about 5feet long). The models were made by bunch of chinese stowaways that got locked up. They represented their american dreams, sometimes these origami are also refer to as Chinese Refugees Modular Units. I wasnt allowed to take any pictures, but if you have a chance, you should definitly go see it, it's jaw dropping amazing. 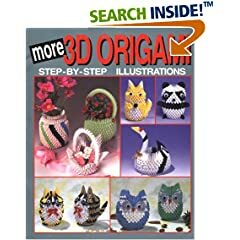 Winter 2001, I found a bunch of websites by other chinese origami model fans. They had some amazing models that I had never seen, some where designed by themselves. One of them pointed me to a Japanese book store in NYC (Kinokuniya Bookstores) that had lots of books on these models. Appearantly these models are alot more popular than i thought, Japanese call them block folding origami. I can't provide translation for the instructions as I don't speak most of those languages myself. 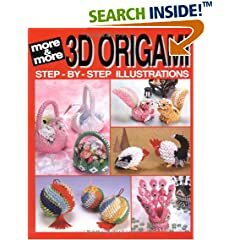 If you have some specific models in mind, I might be able to help you find a diagram, but you should try look for the books yourself if you can. Check out the list of books below. I have not made any new models for a while, and not much new to put on the webpage either. Books from Kinokuniya in NYC: UPDATE some available for purchase online! Books from Amazon.com: NOTE all available for purchase online!